Today remember our losses at Gettysburg and Vicksburg on July 4th 1863. They were severe blows to our freedom and liberty. In Vicksburg, Mississippi, many, many Missouri Battle Flags were surrendered this day 149 years ago. "Missouri Brigade Battle Flag Prior to the Vicksburg Campaign,Missouri units of the "Army of the West" received presents of new battle flags that they carried into the siege with them. 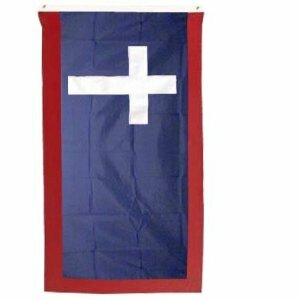 These flags were rectangular, consisting of a dark blue bunting field with a red bunting border on three sides and a white cotton "Latin" cross standing near the staff edge. At some time in 1863 or 1864 similar flags were presented to the five units of Burns' Missouri Brigade serving in the Trans-Mississippi Department. According to surviving documents man of these flags were made in occupied New Orleans by ladies loyal to the Confederacy and smuggled through the lines to give to General Sterling Price"